This is a garden cremation memorial sundial design whereby the ashes are in a Poly-Urn which is then put into the void in the centre of the pedestal & sealed. The design provides both a beautiful ornament and a discreet receptacle for a loved one's cremated remains. 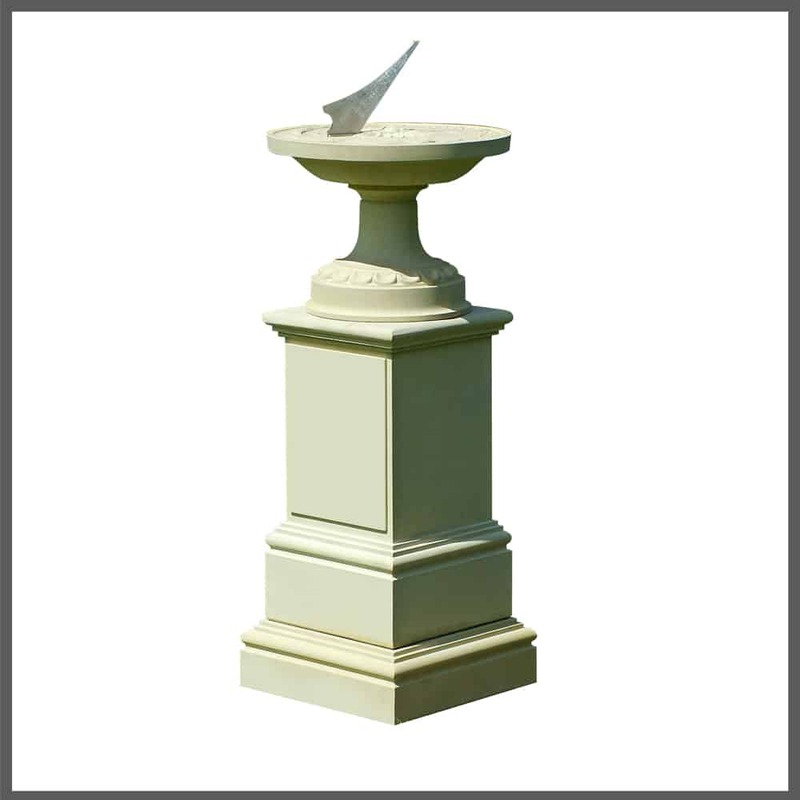 The sundial incorportates a plinth which can accommodate one or two proprietary Poly-Urns. A garden sundial cremation memorial offers the perfect solution, not only does such a feature provide an unobtrusive yet personal ornament without the formality and expense of a traditional memorial, it also provides the ideal compromise between distance and closeness which is so vlued during the grieving process. Our Stonemasons can also offer professional installation of your loved ones memorial.